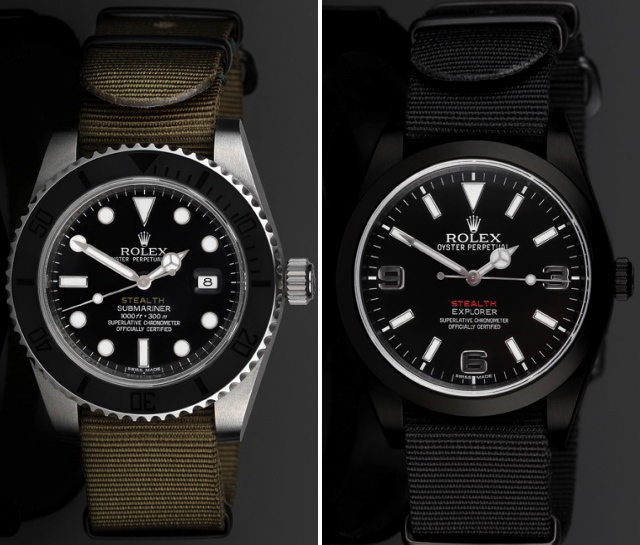 This entry was posted in Classics, Style and tagged custom Rolexes, James Bond, London, military, Project X, Project X Designs, Rolex, Rolex Explorer, Rolex Submariner, Sean Connery, UK, watches. Bookmark the permalink. A very nice timepiece, looks stylish and conservative at the same time. One thing that gets me about this watch is it’s straps, they look very cheap, considering the price of the way. I doubt last and look prone to being worn torn, anyway, excellent watch nonetheless. The straps are NATO spec, they can take any amount of punishment.